Montreal is a fantastic city for a destination wedding. It’s a perfect combination of cosmopolitan flair and Old World charm. 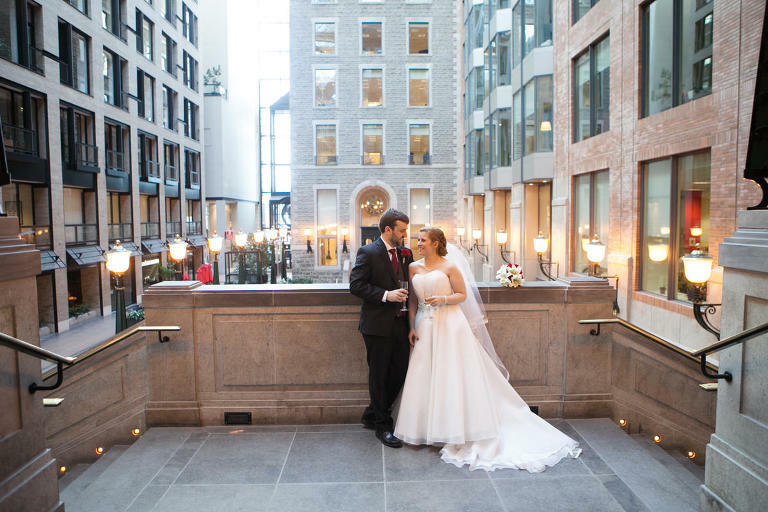 If you are planning your wedding in Montreal, but you don’t live in the city, I’ve created a little guide with my favorite wedding venues, photo locations, and wedding vendors. 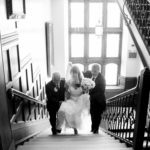 As a wedding photographer working in Montreal, I worked with and appreciate the professionalism and talent everyone listed. I will continue adding and editing this list so that it remains relevant and always up-to-date. Happy planning! Montreal is full of beautiful locations for wedding photography. I’ve photographed in almost all the parks and city locations. But here are three very different choices. Hopefully, one will match your style and inspire you. This is a great place to start your photography. You can branch off in any direction for little cobble stoned streets and beautiful architecture. This area gets very crowded in the summer, but it’s so worth it! 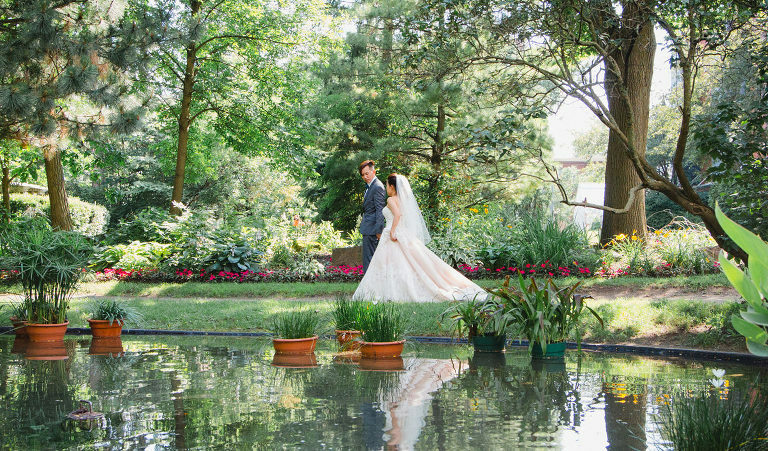 A classic and timeless location for wedding photos. If you love nature and the cool shade of large trees, consider going to Mt-Royal for your wedding photos. Start at the Smith house for a pretty stone wall background. Wander down little quiet paths and wind up with a spectacular view of the city and St-Lawrence River. A very pretty and peaceful place for wedding photography. A short 10-minute drive from downtown Montreal, This park is beautifully laid out for wedding photography. An expansive lawn near the parking lot for family photos. 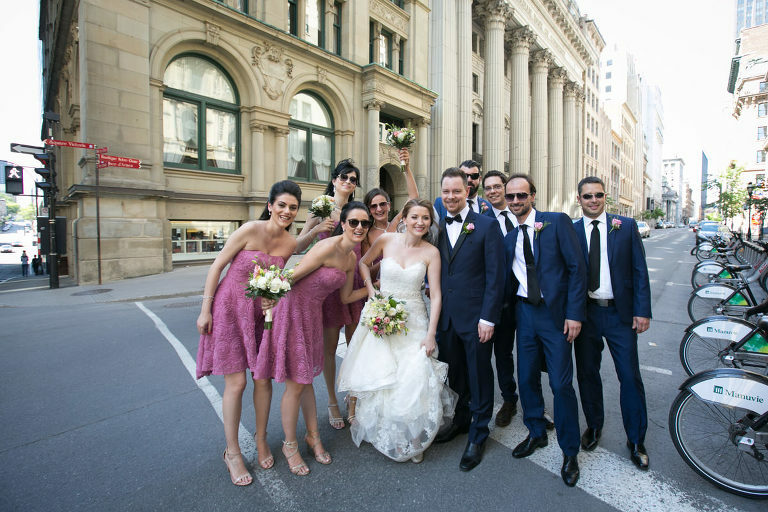 The library is a beautiful architectural backdrop for bridal party photos and you can wander around the many well designed paths for your Bride and Groom photos. Easy for parking, beautiful light and nicely landscaped. Bathrooms available inside the library. Always a nice choice. One great way to make your life a little easier is to plan a hotel wedding reception. These hotels are all centrally located, offer parking and have beautiful rooms for a wedding reception. They all have on-site wedding specialists to help you with your planning. Located downtown Montreal, this is a perfect choice for a wedding. Guests can easily walk to the nearby shopping district, lively bars, and excellent restaurants. It is also a short (but uphill) walk to Mt-Royal for a beautiful panoramic view of the city. My favorite of their two reception halls is the Pierre de Coubertin room that is perfect for a small to medium sized wedding (up to 160 guests). There is also an adjoining glassed-in room for cocktails. Service and food are excellent. Packages begin at $125 per person. There are many beautiful boutique hotels in Old Montreal. But I do think that the Nelligan is one of the best. It is perfectly situated for wedding photos. Just step out the door onto St-Paul’s cobble stoned streets. Walk a block down to the Old Port for photos by the water and visiting yachts and larger ships. The hotel rooms are elegant and well appointed with exposed brick details. They have a beautiful private rooftop terrace perfect for an outdoor ceremony or a cocktail reception. They also have two reception halls – one for small parties and the other ballroom can seat up to 180 guests. On the rooftop you will find a popular restaurant and bar that would be fun for a rehearsal dinner or drinks with your bridal party the night before the wedding. Guest capacity: up to 180 seated. Private Terrace capacity: Cocktails, 150 guests, Ceremony, 120 guests. 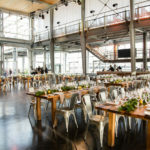 If you’re feeling a little more adventurous and want something that is not a hotel, you could consider renting one of these “show stopping” venues. They are all well located and easy to pair with nearby hotels, restaurants, and activities for your guests. I recently discovered “Au Sommet” when I was hired to photograph a surprise proposal here last. I was awestruck by the panoramic views in all directions. I really felt like I was on top of the world! When Christian Bazatoha, the event planner for “Au Sommet”, mentioned that they do small weddings and cocktails on this observation deck, I knew I had to write about it! This is a truly a “one-of-a-kind” wedding location. They even have an open air terrace on the 44th floor that would be ideal for an outdoor wedding ceremony or open-air cocktail. This is a turn-key option because Christian will handle all the catering and rentals. He also has very good contacts with decorators and florists. This reception venue is a Victorian syle Manor right on the banks of the St-Lawrence River. There is a gracious lawn stretching out to the water that could be used for cocktails or an outdoor wedding ceremony. There are many small, well-decorated rooms inside as well as a glassed in back room that is traditionally used for a sit-down dinner. I’ve seen this space used in many different ways. There are rooms upstairs where the bride can get ready. With the addition of a few personal touches and flowers, this is a turn-key option for a very elegant wedding. Located in Dorval, (20 minutes from downtown Montreal) this venue is very close to the airport and several hotels for your guests. For larger weddings ( Beautiful glass encased hall with an attached balcony. Windows give off views of Old Montreal, downtown and the Old Port. Very modern design. Once you leave the lobby area of the Science Center, this is a very private location for a wedding. You can bring your own caterer, bar, and everything must be rented. I recommend working with a wedding planner in Montreal to help you in this process. I describe my work as a mix of documentary and lifestyle photography. I like to bring out the best in every occasion while staying true to the events unfolding before me. I am unobtrusive, yet can step in and give direction when the moment is right. This is especially important for the big group shot outside the church and the family photos. I work quickly and efficiently while still capturing beautiful images of every moment of the day. Contact me for additional info. I would be part of your wedding “dream team”. I’ve always had a soft spot for flowers at a wedding. They add a touch of luxury to any event. For something very fresh, textured and romantic, La Bandinerie (owned by Stephanie Lefebvre) would be a perfect choice. With her background in photography and design, Stephanie’s vision for flower arranging is a little different from the herd. Check out her Instagram account for a little dose of beauty. Georgia and Angie will help take all the stress out of the wedding decorations and set-up. What makes their company so unique is the fact that they will not only provide the decorations but also do the set-up and take down. They offer everything from ceremony draping, candles for your wedding aisle, seat covers, table cloths, chargers, vases – everything you’ll need to make your wedding memorable and beautiful. I chose to work with them for my own wedding and had a really great experience. Everything was as it was supposed to be and exactly as had been discussed and done on time. This is a one-stop shop for your set-up and decor services. 5 star for sure. 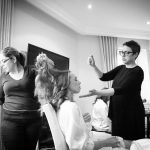 With a team of 5 experienced hair and makeup artists, you can have your hair and makeup done in their bright, spacious studio. It is even large for a bridal party to use for the “getting ready” photos. The team at Wonderblush can also travel to your home or hotel for your convenience (I always recommend this when possible!). On the big day, they don’t want you to make any decisions under stress so they like to set up an initial consultation via skype or phone to know more about your look and make sure everything is perfect for your wedding or her engagement photo session. They also have a very helpful “Good To Know” facts for weddings and makeup that you might want to check out. The team at Annie Young has just moved into a beautiful new space in Westmount’s Victoria Village. They are able to accommodate large groups and also able to offer hair and makeup at your hotel for you and your bridal party. Additional services include manicures, pedicures, massage, facials, Spray tanning, micro blading, eyelash extensions, lash and brow tinting. Their work is always beautiful, done on time and they are always a pleasure to work with. Envers is known for their stunning evening gown designs and their attention to detail. If you arrive in Montreal and need some high-quality last-minute alteration to your wedding dress, or family or bridal party alterations, you can give Yves Jean Lacasse a call and he will do everything he can to fit you and help you. They might even be able to make you a shawl if you arrive in Montreal and realize that you need a little something for a chilly evening or a cooler than normal day. Yves Jean Lacasse is an award winning fashion designer for both men and women. I could write a whole blog about his style and creativity. If you are lucky enough to be able to come into work with him on your wedding dress, suit or event gown, he will create something truly special. Live music is a very nice touch for a wedding ceremony or cocktail hour. But sometimes it’s hard to know where to start your search for musical groups. Yves Jean Lacasse, as well as being a renowned clothing designer, is also well connected in the world of classical music. He has many contacts in Montreal. Let him know what you’re looking for, or simply call him for his suggestions. Yves Jean will work with your budget to connect you with exactly the right fit for your event. Alex and I worked at a wedding at the Entrepots Dominion last year. He was low key but still very present. If you don’t want a Dj that’s always chatting away on the mic during your wedding, Alex is just the right fit. But best of all played amazing music all night that kept people on the dance floor. So I had lots of great dancing shots from the party. He would be a great choice and I highly recommend him. Yvan Caro is also an excellent choice. I worked with him on a great event at The Windsor Ballroom last year and he did a fantastic job and I know the clients were very happy. This is a very reliable company that works almost exclusively with the big hotels around Montreal. This company comes very highly recommended by the Omni Hotel. They have a large selection of cars available from Limos, SUVs, Mercedes and Rolls Royce. You can contact Alex directly at 514-892-8294 for further info. Kate is a Montreal-based wedding photographer with 10 years of experience. She has photographed hundreds of weddings and enjoys sharing her insight with clients and blog followers. Her use of natural light and technical ease allows her to create memorable, unique and beautiful wedding photos for all her clients. Here is her wedding portfolio.